We are based in Liverpool but we will travel all over the UK and beyond to photograph your wedding. We use Canon 5D Mark iii’s and a Canon 6D’s, we also have back up equipment; and if we run out of natural light, we can create and manipulate some. 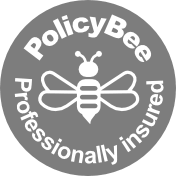 Yes, we are fully insured with professional indemnity and public liability insurance. If your venue request to see the certificate, just let us know and we will supply it. I don’t really like having my photograph taken, I am not confident, help! Almost everyone I know feels a little uncomfortable in front of the camera (which is why I am behind it!) and that’s fine. It is my job to help you relax and enjoy it but trust me you will look fab! My photography is relaxed and that is how our time together will be. If you want to add an pre shoot to your package to gain more confidence we can talk about that. Can we see more of the weddings you have photographed? We am more than happy to show you weddings from the minute the preparations began, to the last dance move. How do we chat and do we have to meet up? Any excuse for a coffee and a natter￼ is always welcome, we can chat over the phone or Skype and then if you want to meet we can work something out, whatever is easiest for you both. Depending on your day and what package you have chosen its usually from bridal prep or groom prep up to the first dance. Sometimes we will stay longer once I feel I have all the images I need to complete your story. It’s usually 400 and upwards, if your wedding is full to the brim of magical moments then there will be more, we don’t place a limit. How long will it be until we get our wedding photographs? Usually around 4-6 weeks depending on the season. We will put up some sneak peeks for you both to view and show to all your friends and family (this is optional if you do not want your images published online). What can we do with the images once we have them? Can we make prints or publish them online? You can share away and you can print as many as you like; they are all yours! A little ‘shout out’ or tag for me if you put them online would be nice though. As with most photographers, we do retain the copyright of our work. What if I lose my USB full of images or delete them by accident? Always back your images up on another USB or on your laptop, we always back my wedding images up on other hard drives, so there’s no need to worry about that. I usually keep your wedding images for about 2-3 years. Do you need feeding at our wedding? We love eating so that would be nice as its a long day! It would be very much appreciated if you provide some food. Fill out my get in touch form, telling us all about you as a couple and your big day. If we are available on your wedding date, you can secure your booking with a non-refundable deposit of £200, which will be deducted from your final balance. You can pay this by BACS transfer or your preferred method. We will provide you with invoices and receipts for all payments made. The remainder of the balance will be due 60 days prior to your wedding date. Your wedding planning and build up to your big day is what happens next! We would love to be part of all of this and if you do choose us to photograph your wedding we will capture your day as it happens whether it be the Fun, Formal or the Funky. We will add my creativity combined with natural storytelling and relaxed portraits to give you what’s most important to you both; your wedding day told through beautiful images of you and your loved ones.